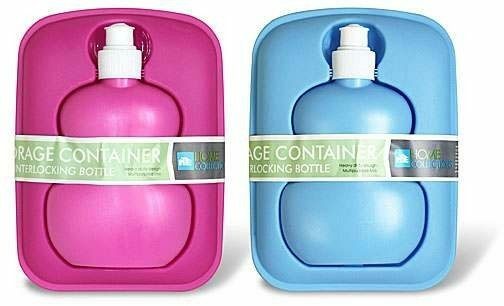 Home Collections Storage Container With Interlocking Sipper Bottle Just $4.24 Down From $19.99 At GearXS! Ships FREE! You are here: Home / Great Deals / Home Collections Storage Container With Interlocking Sipper Bottle Just $4.24 Down From $19.99 At GearXS! Ships FREE! GearXS has this Home Collections Storage Container With Interlocking Sipper Bottle on sale for $4.24 (Reg. $19.99) when you use promo code GXS-PRES + FREE shipping! Store your favorite beverage in style with this storage container with interlocking bottle. Your choice of pink or blue colors. Order today while supplies last.